The holidays are officially over, and it’s time to get away from Los Angeles and regroup for a weekend. Whether you escape to a coastal resort with scenic views of the beach, a cozy mountain hideaway, or a relaxing and restorative spa retreat, the Golden state has some of the best experiences to offer. Unfortunately, the holiday season leaves us with a bit of a hole in our pocket, and coming across extra cash may seem impossible. People often forget that they can get a cash loan for instances just like this, and pay the loan back quickly all the while building their credit. At Tio Rico, you can get a guaranteed signature or auto title loan in 30 minutes or less so you can head to the beach, the woods, or the spa this weekend! There are thousands of hotels on California’s coast, but which beaches boast some of the most affordable getaways? Instead of heading to Santa Monica, try Huntington Beach instead. A mere hour south of Los Angeles, you will find the quintessential California beach town. Sample the Southern California good life here, without having to pay a lot of money. There are plenty of casual beachfront accommodations and a vast range of dining options to choose from. Year round there are thrilling surfing competitions, bountiful farmer’s markets, cutting-edge art shows, and can’t-miss beach volleyball. 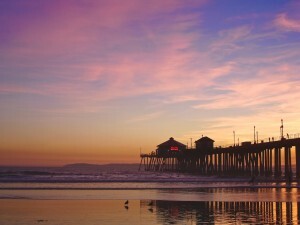 In addition to the 8 miles of beaches, don’t forget to check out the 1,800-foot-long Huntington Beach Pier. A two-hour drive from Los Angeles, situated in the San Bernardino National Forest is Big Bear Lake. Surrounded by mountains and endless hiking trails, the sparkling man-made lake is ideal for water activities including kayaking and paddle boarding in the summer. In the winter, you can head over to the bobsled runs, ski mountains or stay in by the fire. There a plenty of rental cabins and ski lodges to choose from all around the lake. Stay in or eat out. There are endless options of cafes, lodges, dinners, and pubs. Start your new year getting centered and pampered. There are thousands of Spas in the greater L.A. area to choose from and all you need to do is a little research to find the right one for you. Get a massage, do some yoga, or hang out by the pool and feel like you are a million miles away. Spa stays can get a little pricey, so look for specials that resorts are running or go with a group of friends so you can split the bill. Remember, if you are looking fast, reliable cash, Tio Rico has the best auto title loans Los Angeles has available. Our staff will help you through the process from start to finish, get you set up with a payment plan, and you will be on your way. Start your new year right and contact us for more information.